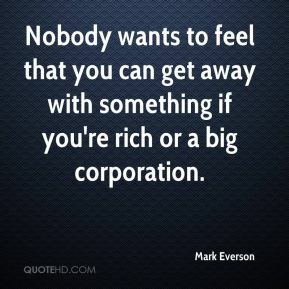 Nobody wants to feel that you can get away with something if you're rich or a big corporation. 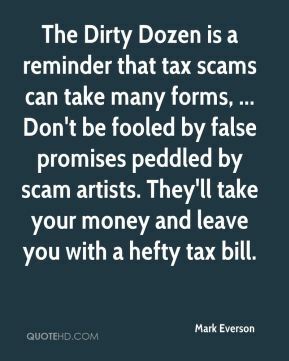 The Dirty Dozen is a reminder that tax scams can take many forms, ... Don't be fooled by false promises peddled by scam artists. They'll take your money and leave you with a hefty tax bill. 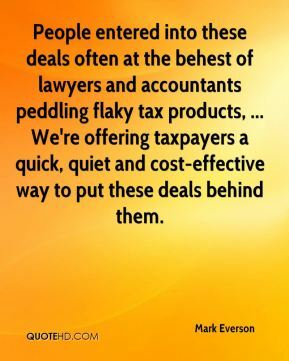 People entered into these deals often at the behest of lawyers and accountants peddling flaky tax products, ... We're offering taxpayers a quick, quiet and cost-effective way to put these deals behind them. 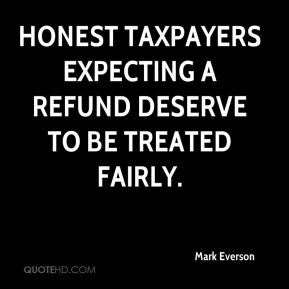 Honest taxpayers expecting a refund deserve to be treated fairly. 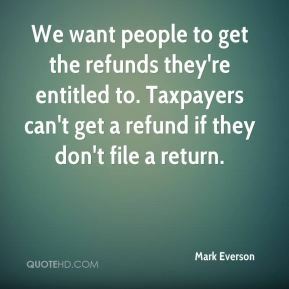 We want people to get the refunds they're entitled to. Taxpayers can't get a refund if they don't file a return. 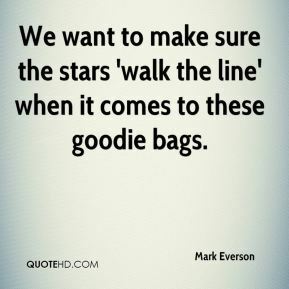 We want to make sure the stars 'walk the line' when it comes to these goodie bags. 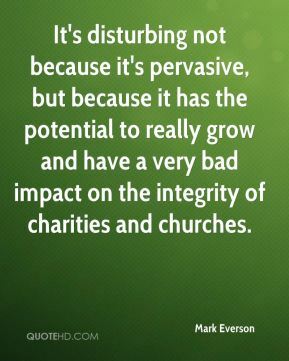 It's disturbing not because it's pervasive, but because it has the potential to really grow and have a very bad impact on the integrity of charities and churches. 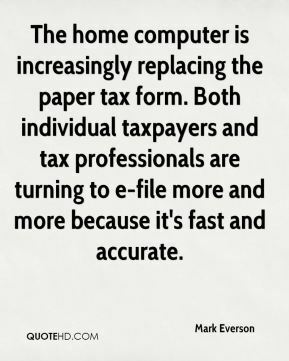 The home computer is increasingly replacing the paper tax form. Both individual taxpayers and tax professionals are turning to e-file more and more because it's fast and accurate. 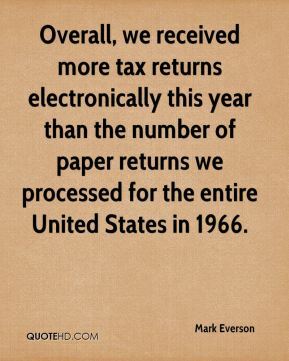 Overall, we received more tax returns electronically this year than the number of paper returns we processed for the entire United States in 1966. 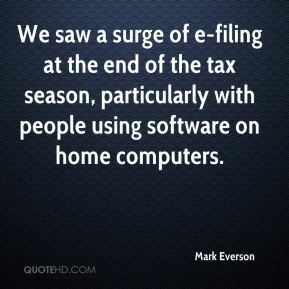 We saw a surge of e-filing at the end of the tax season, particularly with people using software on home computers. 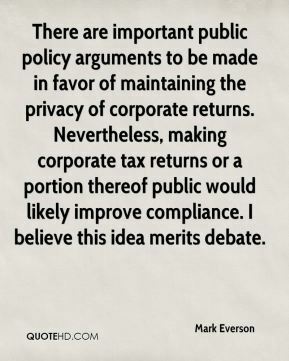 There are important public policy arguments to be made in favor of maintaining the privacy of corporate returns. Nevertheless, making corporate tax returns or a portion thereof public would likely improve compliance. I believe this idea merits debate.